Welcome to Preben Maegaard Website! Continuous headwind. 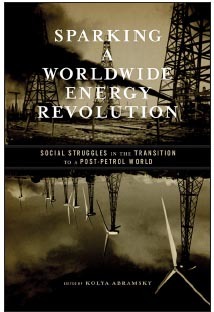 - pioneering the transition from fossil fuels and atomic energy to the renewable energies. With contributions from: Patrick Bond | George Caffentzis | China Labour Bulletin | Sophie Cooke | Corporate Watch UK | Peter Custers | Energy Watch Group | Environmental Rights Action/ Friends of the Earth Nigeria | F.A.R.M.A. (Fight for Alternative Renewable Methods and Autonomy) | Focus on the Global South | Marc Gavaldà | IG Metall | Ewa Jasiewicz | Tom Keefer | Integrated Sustainable Energy and Ecological Development Association (INSEDA) | International Federation of Chemical, Energy, Mine and General Workers’ Unions (ICEM) | Jane Kruse | Nancy LaPlaca | Les Levidow | Preben Maegaard | Esperanza Martínez | Gavan McCormack | Midnight Notes and Friends | Alejandro Montesinos Larrosa | Evo Morales | Conrado Moreno Figueredo | Camila Moreno | Tadzio Müller | Trevor Ngwane | Observatorio de la Deuda en la Globalización | Observatorio de Multinacionales en América Latina (OMAL) | Oilwatch | Alexis Passadakis | Helena Paul | Bruce Pobdonik | Peter Polder | Public Services International Research Unit (PSIRU) | Klaus Rave | Tatiana Roa Avendaño | Saving Iceland | Self-Reliance and Environment Technologies Unit at “Sapienza” University of Rome | Macdonald Stainsby | Jessica Toloza | Shannon Walsh | World Council for Renewable Energy | and World Information Service on Energy (WISE). 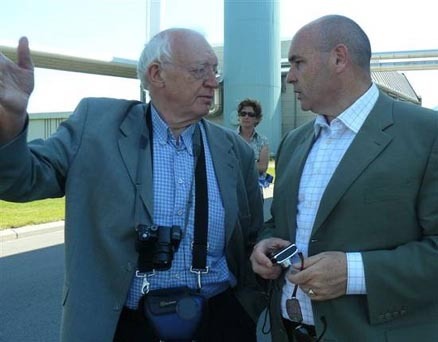 George Smitherman who is minister for energy and infrastructure in Ontario, Canada was in August 2008 at a visit at the Folkecenter to get inspired by the many different opportunities for renewable energy. Taipei, October 15th -18th 2008: Presentation and dialogue about Solar Energy for Development. Solar Energy Asia 2008, Singapore, October 8th  10th 2008  Preben Maegaard is key note speaker. On August 29th 2008 was Preben Maegaard at the Solar Prize meeting in Bonn, Germany. EUROSOLAR awards the National and the European Solar Prizes to municipalities, municipally owned entities, individuals, engineers, architects, owners of installations using Renewable Energies and to organizations who rendered an outstanding service to the application of Renewable Energies. In June 24th - 26th 2008 was Preben Maegaard at the 7th World Wind Energy Conference, WWEC, in Kingston, Canada where he gave a lecture about renewable energy in the future. 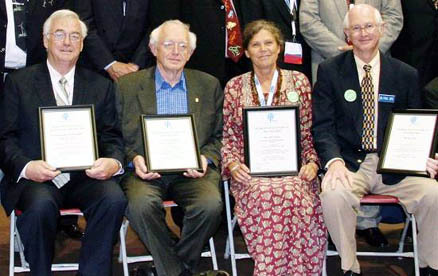 The international famous environmentalists David Suzuki and Hermann Scheer were among the speakers at the conference. 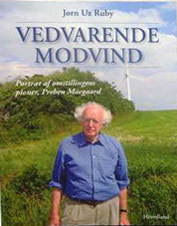 Preben Maegaard was awarded with the Wind Energy Award 2008 with Jane Kruse and Paul Gipe.